A lawsuit has been filed against AstraZeneca by two Texans who allege that Nexium caused them to suffer bone fracture side effects. The complaint was filed by Mary Mai Nguyen and Tuoc Duong on September 15 in Harris County, Texas against AstraZeneca. According to the Nexium lawsuit, the defendants failed to adequately research the heart burn medication or warn about the potential risk of Nexium bone problems. 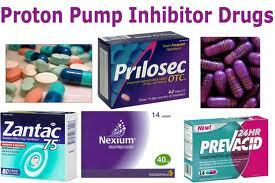 Nexium (esomeprazole) is a member of a class of drugs known as proton pump inhibitors (PPIs). A number of similar bone fracture lawsuits involving Nexium and other proton pump inhibitors have been filed in recent months. Other drugs in the class include Prilosec, Aciphex, Prevacid, Protonix, Vimovo and Zegerid. In 2010 and in 2011, the FDA warned that there may be an increased risk of bone fractures from Nexium and the other PPI medications. The risk of broken bones from Nexium appears to be linked to high doses of the medication used over long periods of time. The FDA announced in March 2011 that they are requiring new warnings about the risk of bone fractures from Nexium, Prilosec, Protonix, Prevacid, Zegerid, Aciphex and Vimovo, as the heartburn drugs have been associated with a number of hip fractures, wrist fractures, spine fractures and other injuries. FDA has determined an osteoporosis and fracture warning on the over-the-counter (OTC) proton pump inhibitor (PPI) medication “Drug Facts” label is not indicated at this time. Following a thorough review of available safety data, FDA has concluded that fracture risk with short-term, low dose PPI use is unlikely. The available data show that patients at highest risk for fractures received high doses of prescription PPIs (higher than OTC PPI doses) and/or used a PPI for one year or more. In contrast to prescription PPIs, OTC PPIs are marketed at low doses and are only intended for a 14 day course of treatment up to 3 times per year. FDA acknowledges that consumers, either on their own, or based on a healthcare professional’s recommendation, may take these products for periods of time that exceed the directions on the OTC label. Healthcare professionals should be aware of the risk for fracture if they are recommending use of OTC PPIs at higher doses or for longer periods of time than in the OTC PPI label. The label changes for the proton pump inhibitors (PPIs), come after the agency looked at a number of studies that linked the drugs to increased bone fracture risks. PPIs are designed to fight the symptoms of a number of gastrointestinal ailments by reducing the body’s production of stomach acid. The new warnings come just days after the results of a study were published in the Archives of Internal Medicine that linked the use of Nexium, Prilosec and other PPIs to a 25% increase in the risk of bone fractures in women. The risks appear to be connected to long-term use of the drugs of a year or more, but FDA has decided to place the bone fracture risk warning even on those drugs which are not recommended for use longer than two weeks at a time.